The historical capital city of Rajasthan in India surfaced in the year 1726. It was an initiation by the Majesty of Amer King Jai Singh II. Since then, the chronology has held relevance and the contribution of Jaipur to the history have been recorded in the historical narratives. Now let us see how the city gripped the attention of millions of visitors from everywhere in the world. Places in Jaipur that deserves your attention. What does the history of Jaipur laments about it? As known to all readers that Jai Singh II the monarch of Amer during 1726 took a bold step ahead to migrate from Amer. Historians even comment that the panning of the entire city was based on in complaisance with the Shilpa Shastra as well as the Vastu Shastra. The city is well protected by seven gates while remnants of huge walls can also be traced as well. Overall, it took four years for the city to come into life. 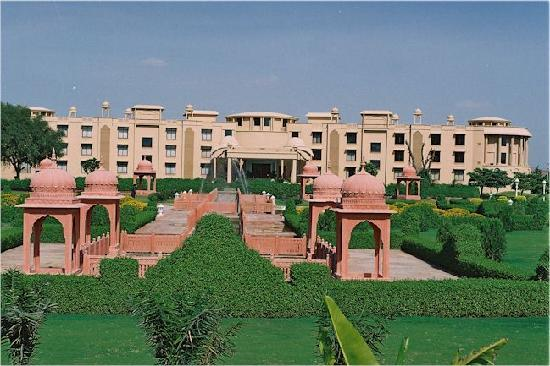 Your stay in any of the resorts in Jaipur will opportune you to discover the history more vividly. The city has fruitfully secured its culture and until date, it beholds the culture very gracefully. In fact, it feels proud to relive their origin through the works of blue pottery, music, folk dances, traditional culinary, bandhani work, carvings, and most awaited the Jaipur paintings. For visitors, those who are new to the Jaipur can easily distinguish the native people by their traditional ensembles. Customarily they love to dress in vibrant colors, which actually put forth their enthusiastic heart and sportiness. Women are seen wearing multicolored fine-worked lehenga cholis with a bandhani dupatta while men are seen in turbans. The usual colors, which embellish their beautiful look, are the orange, green, blue, red, and yellow. Traditional culinary: During your Jaipur Tours, make sure that you drop by the hotels to get the traditional taste of their scrumptious dishes. Without any doubt, the dishes are cent percent vegetarian, but certainly, finger-licking varieties like Finni, Ghevar, Gajak, Bati Churma, and Missi Rotis will always take you by surprise. An art of the respective places reflects the culture of the city more transparently. Kathak dance from Jaipur has received appreciation from all over the world. Obviously, to date, the people have harnessed it with care and love. But along with that one more gripping dance form called Tamasha also pulled visitors to the pink city. Most admirable craft works are the Zardozi, Block Printing, Kinaru, Gota, and Tari and all this have augmented the culture of Jaipur in a manifold way. In addition to that, the Jaipur traditional silver jewelries, Kundan and Meenakari have always been special. Festivals like Teej, Gangaur, literature festival, etc. always have been the talk of the entire nation. Not only that fairs which equally attracted people are the Chaksu Fair, Elephant Fair Etc.